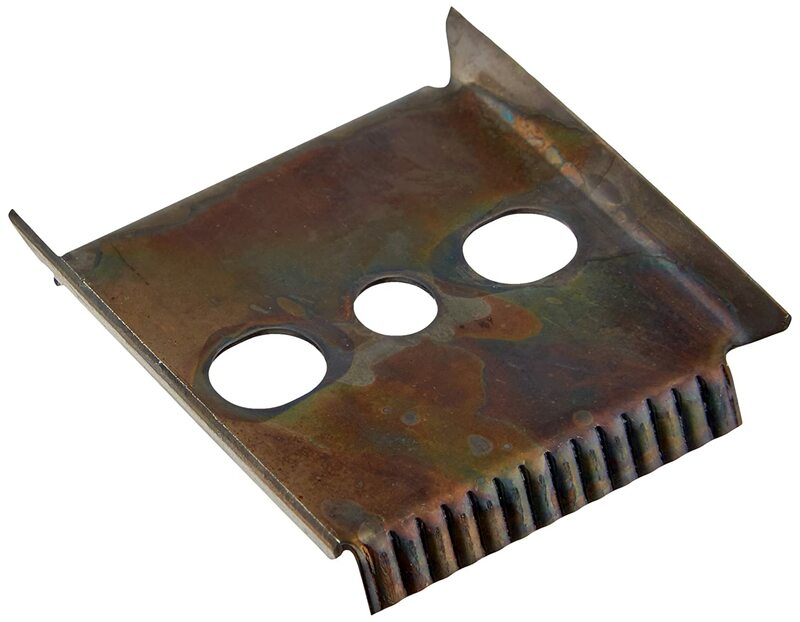 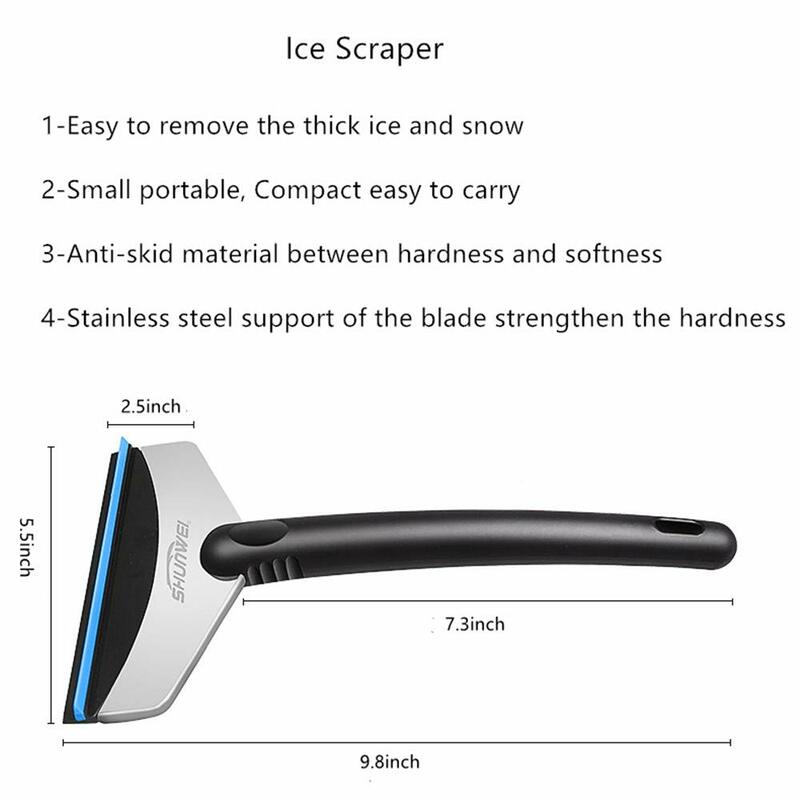 HIGH QUALITY CONSTRUCTION: Compared with plastic ice scraper, our ice scraper with heavy duty ABS blade combined thick stainless steel making it more solid, durable, and more efficient in crushing ice. 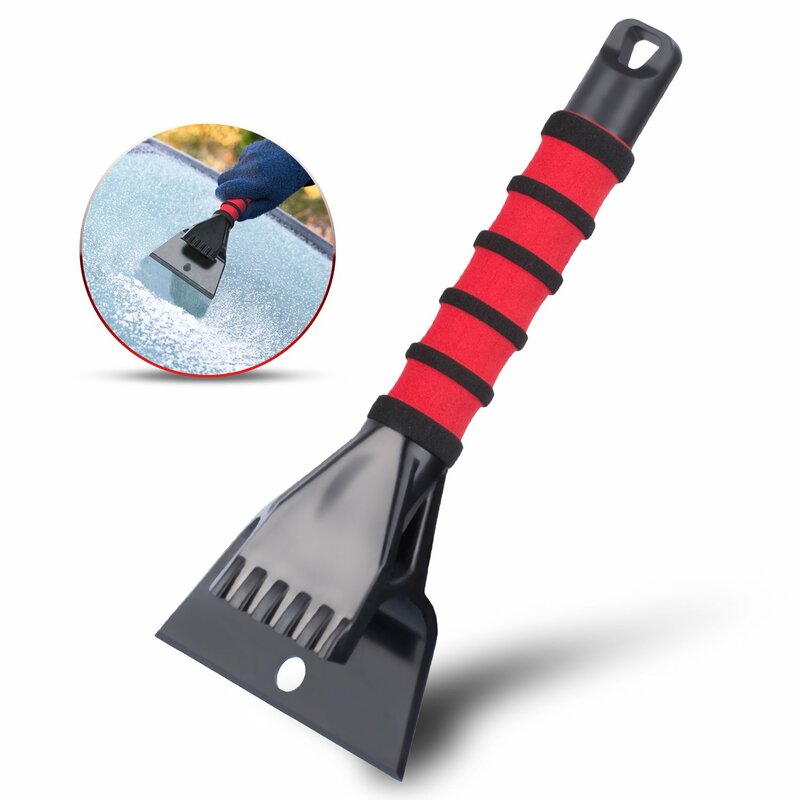 ERGONOMIC DESIGNED: The anti-slip handle of this ice scraper provides a comfort secure grip; labor saving. 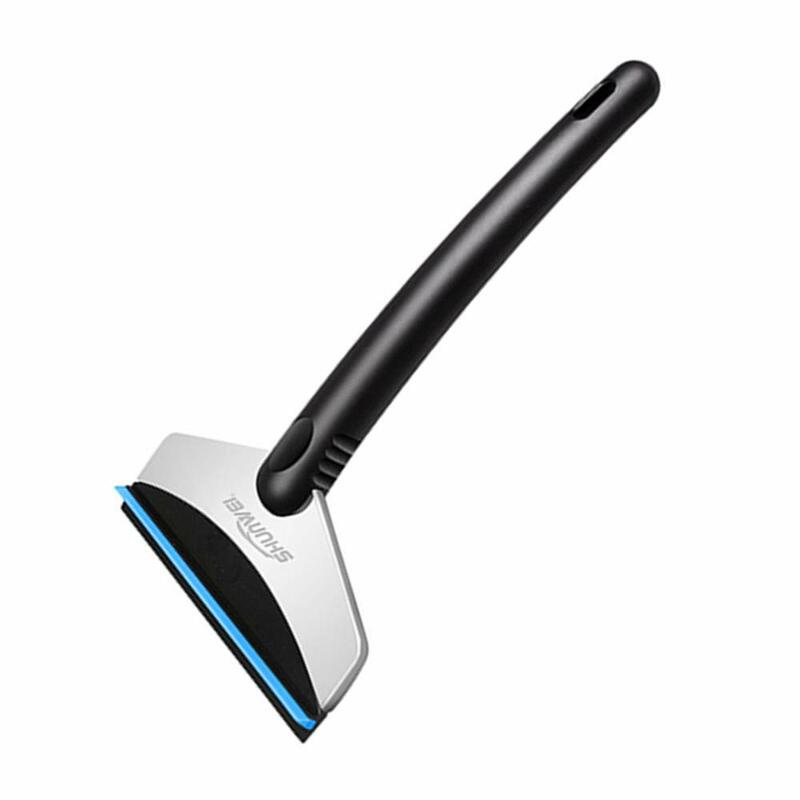 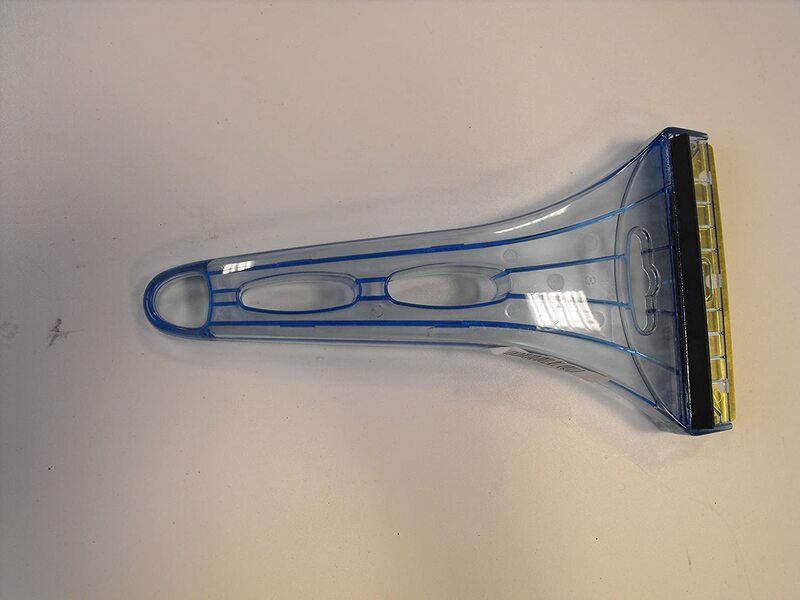 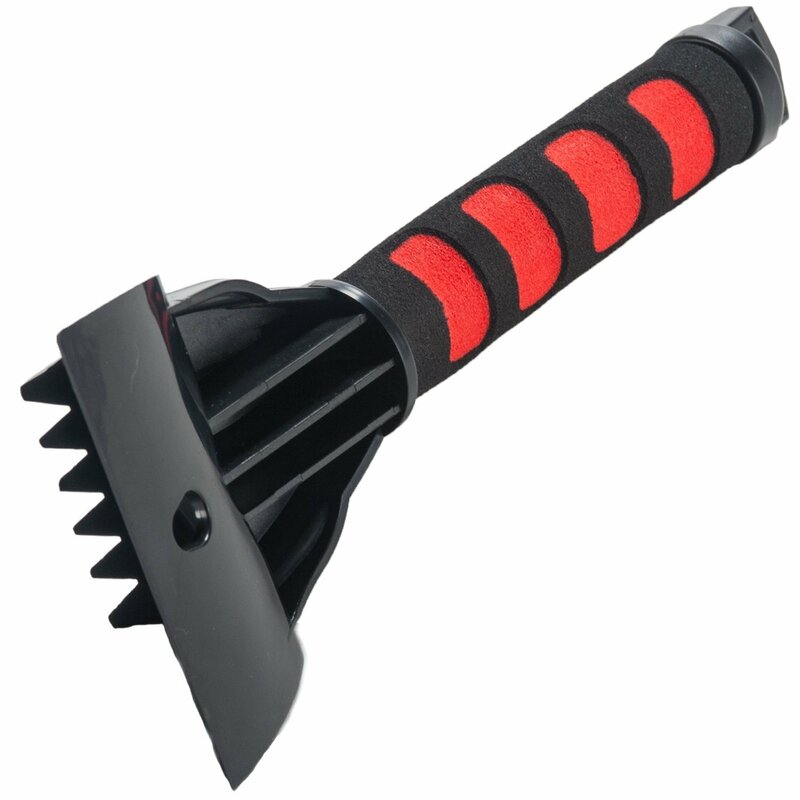 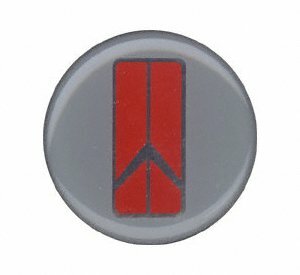 The thumb area and finger area on the handle provides a premium usage experience. 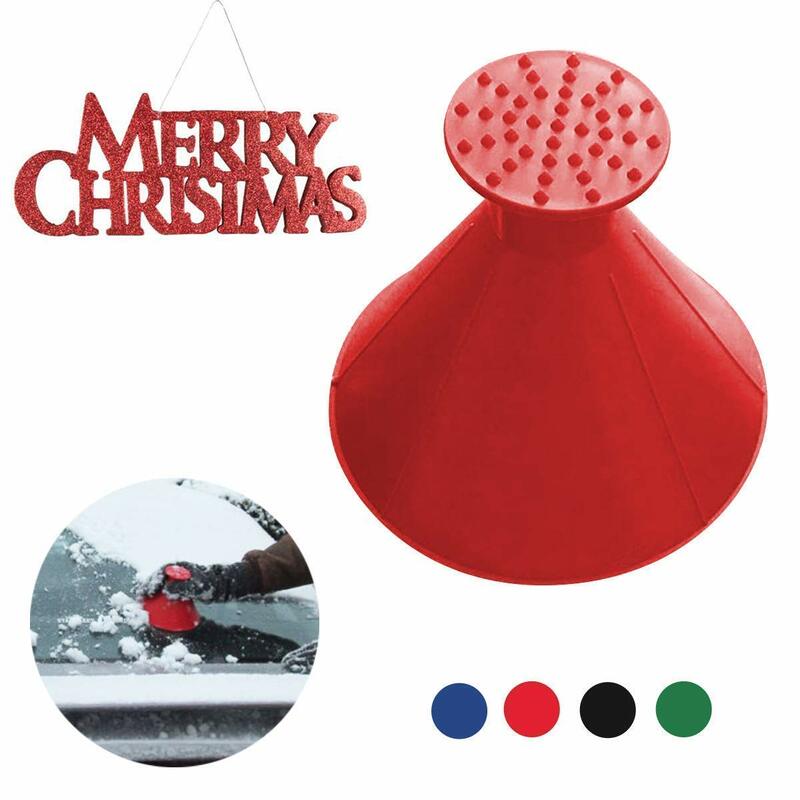 Hanging hole makes it convenient to hang or tie up. 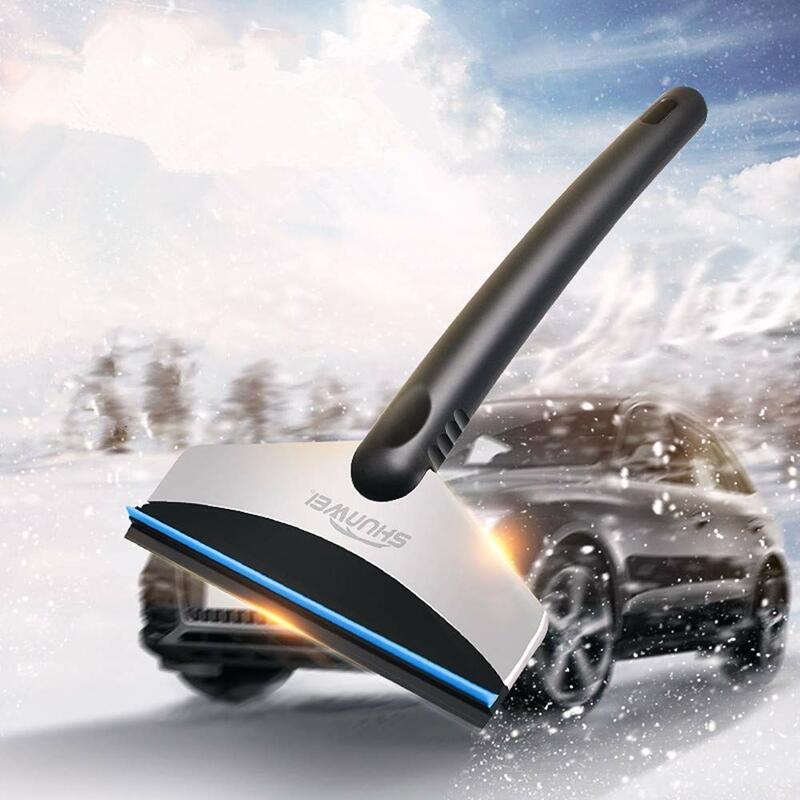 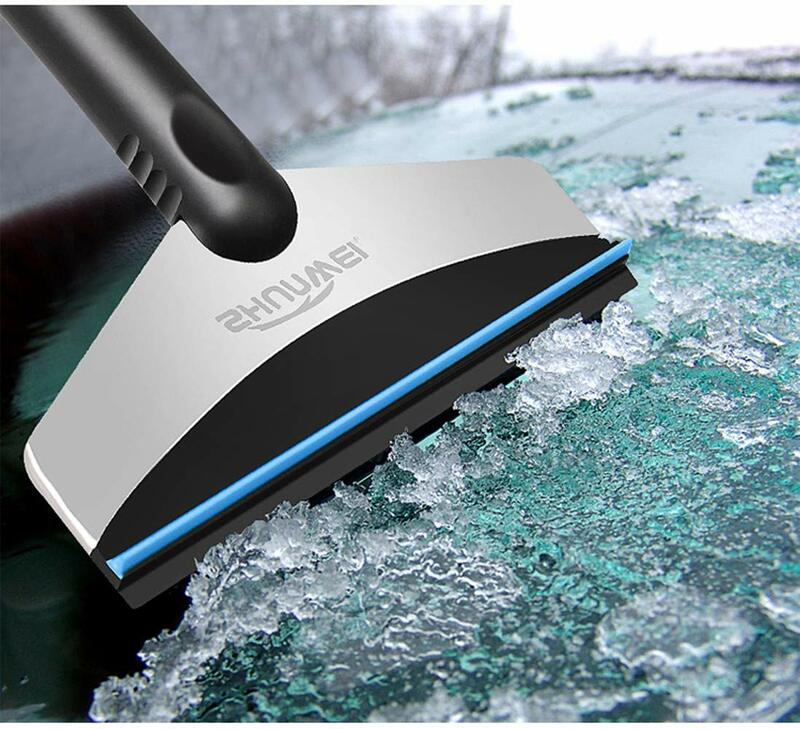 SAFETY FOR WINDSHIELDS: Straight scraper edges smoothly and easily crushes ice and snow without scratching your windshield and car paint.,smooth and seam design without plastic sharp edges means all the details covered. 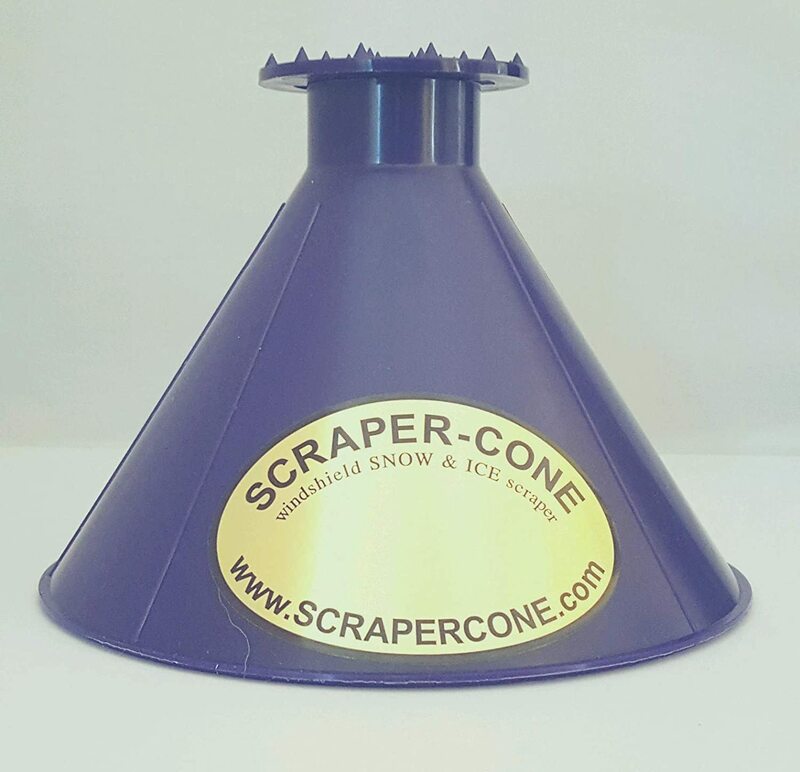 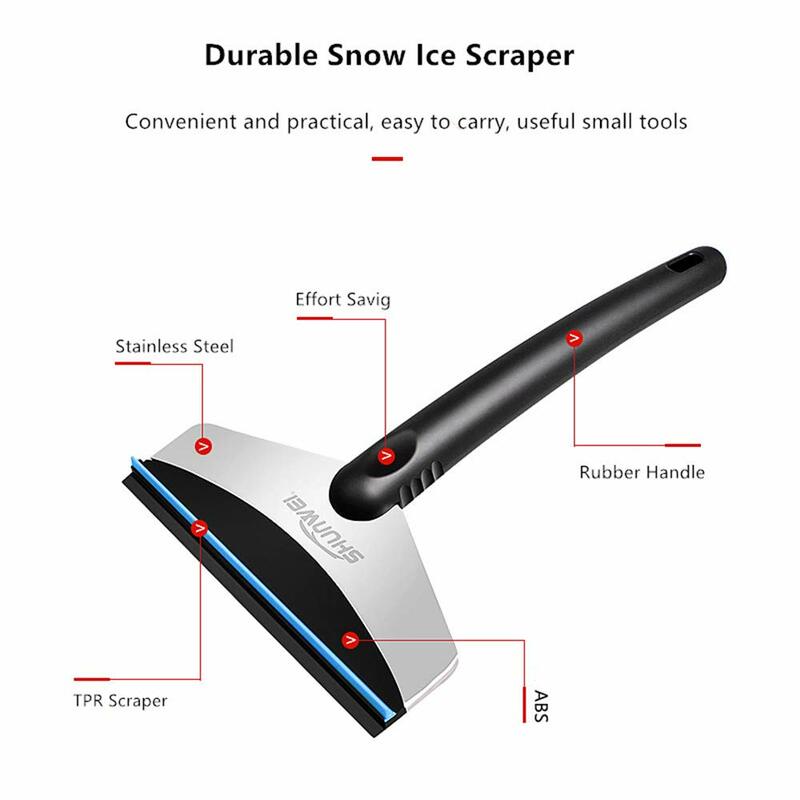 PROFESSIONAL AND EFFICENT: Lightweight and portable, this ice crusher provides you with a more convenient, efficient, labor saving way of ice cleaning. 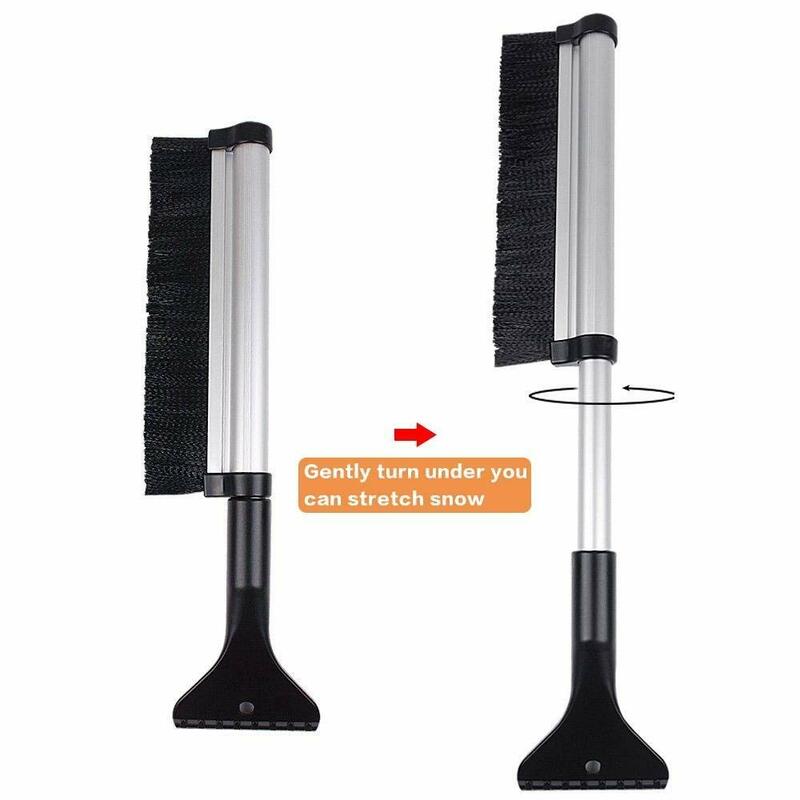 Heavy snow in winter will never be a problem again with snow brushes and ice scraper. 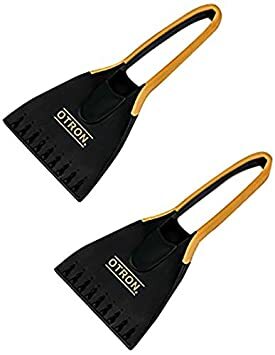 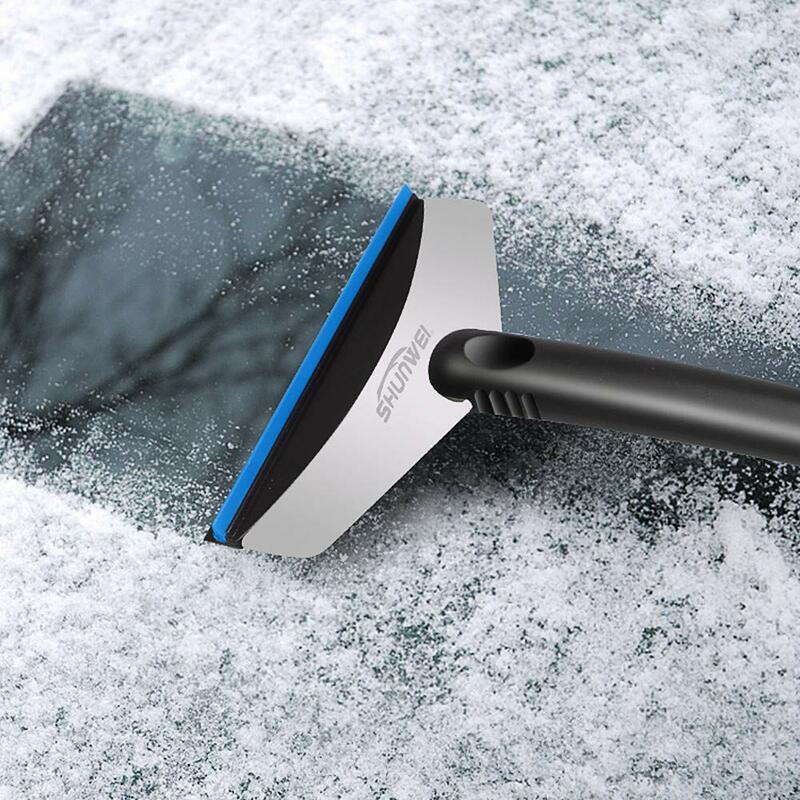 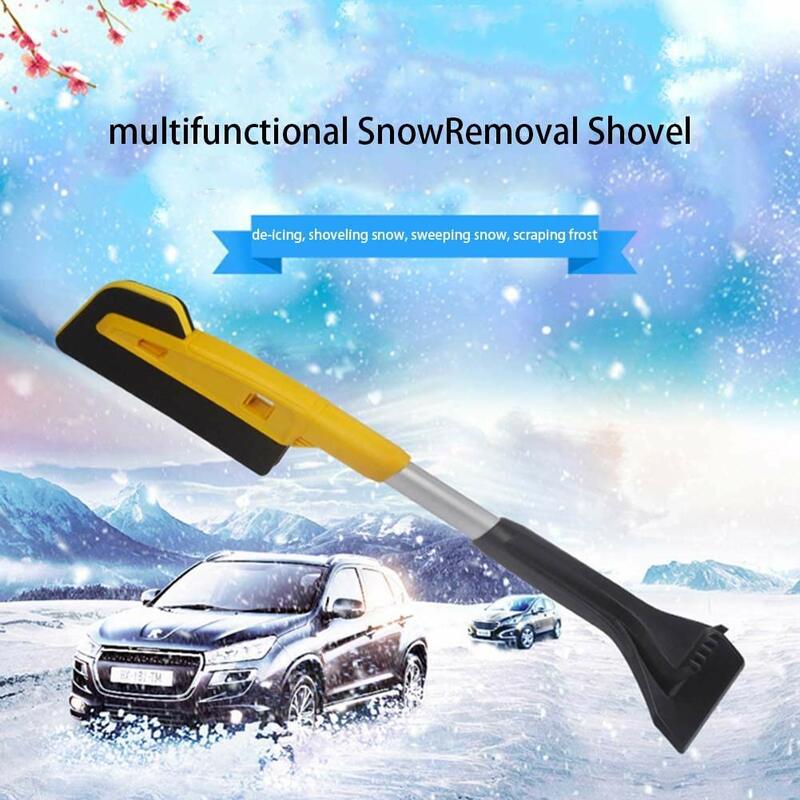 A GODD HELPER:our scraper is usefulto clean your car glass, shovel snow, eliminate ice, scrape wather, scrape frost, protect rain wiper, improve driving safety. 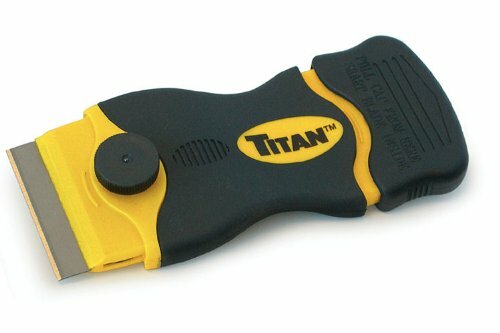 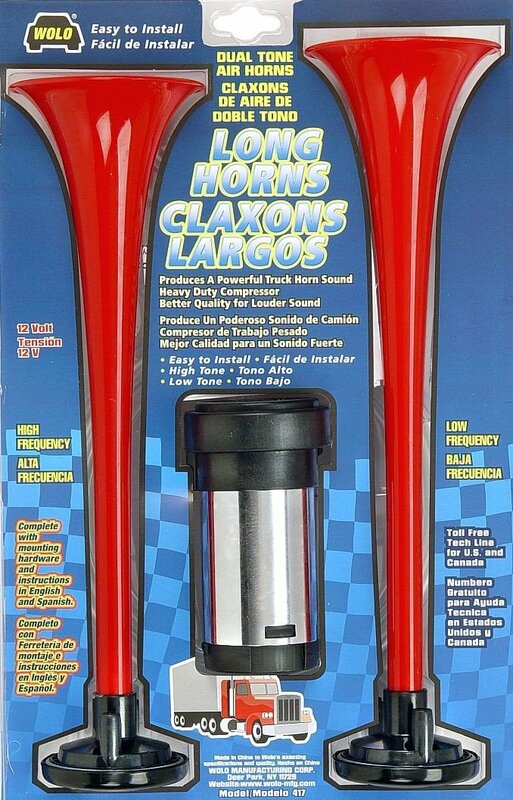 Small portable, Compact easy to carry or store conveniently in your glove boxes.